Revocable and irrevocable trusts are treated quite differently under U.S. tax law. The main reason for this disparity is that the assets of a revocable trust are considered the property of the grantor, while an irrevocable trust is treated as an independent legal entity that owns its assets. Creating a trust may carry unexpected tax consequences, some of which may be unfavorable. An irrevocable trust is a type of trust that cannot be altered once it has been set up. The grantor the person who establishes the trust places assets into the trust, and control of those assets is then turned over to a trustee. 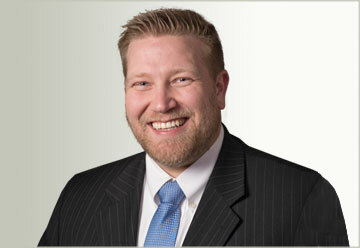 The trustee manages the account to serve the best interests of the beneficiaries of the trust. The trustee is also responsible for distributing funds and assets from the trust to the beneficiaries according to the terms of the trust. A trust may earn income in the form of interest on funds held in a bank account, for example, or rent paid by a tenant living in a house owned by the trust. If you create a revocable trust, known as a grantor trust by the IRS, all trust income is taxed as your personal income, and you must report it on your Form 1040 tax return even if it remains in the trust. You must also complete a small identification section of Form 1041 and file it, although you don’t have to report trust income. 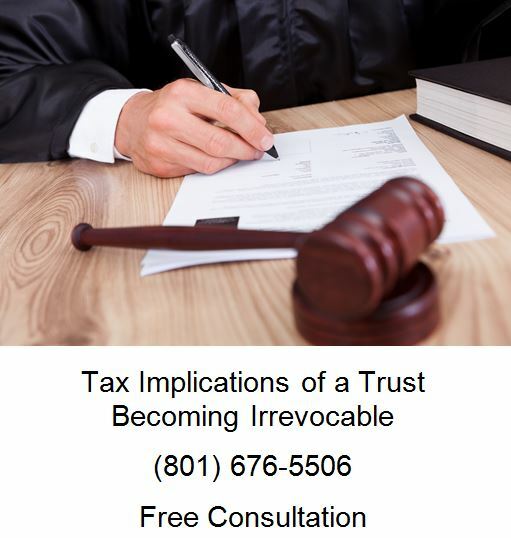 The trustee of an irrevocable trust must complete and file Form 1041 to report trust income, as long as the trust earned more than $600 during the tax year. Irrevocable trusts are taxed on income in much the same way as individuals. The trustee must also file Schedule K-1 and deliver copies of it to each beneficiary who received a distribution from the trust during the tax year. The transfer of assets to an irrevocable trust, or to the beneficiary of a revocable trust, is a taxable event resulting in gift tax liability. As of 2012, the gift tax exclusion is $13,000 per year per beneficiary, except that gifts to your spouse are never subject to gift tax. The amount of any gift that exceeds $13,000 is taxable at a maximum rate of 35 percent. You must file the gift tax return, Form 709, only if you actually owe gift tax. The recipient of a gift is never liable for gift tax. Estate tax is imposed on that portion of the value of a deceased taxpayer’s estate that exceeds the gift tax exclusion applicable during the year of the taxpayer’s death. The deceased taxpayer’s executor must file Form 1041 if the estate owes estate taxes. The value is $5,120,000 for taxpayers dying in 2012. The assets of a revocable trust are counted as the grantor’s assets for gift tax purposes; however, the assets of an irrevocable trust are not counted as part of the grantor’s estate. Even though the assets of an irrevocable trust are considered assets of the trust itself, estate tax is never imposed because trusts do not die. A beneficiary of a revocable trust does not have to pay income taxes on his distributions from the trust since the trust grantor has already paid these taxes. Distributions to beneficiaries of an irrevocable trust, however, are taxable to beneficiaries at ordinary income tax rates.